In response to a parent’s complaint, the West Ada School District has pulled the novel “Looking for Alaska” from its middle school libraries. The state’s largest district removed the title after a parent complained about the book’s language and references to smoking and suicide, spokesman Eric Exline told the Idaho Statesman. The copies of the book have been moved to high school libraries, Exline told the Statesman. John Green’s bestselling 2005 novel tells the story of a teenager who enrolled in an Alabama boarding school. “Looking for Alaska” has proven to be not only successful, but controversial. The American Library Association listed “Looking for Alaska” as its most challenged book in 2015, with critics pointing to the book’s language and sexual references. An online petition urges West Ada to reconsider the decision. The four honorees are from Idaho, Georgia, Indiana and Texas. West Ada seniors participate in a career fair in hopes to land an externship working in a pharmacy. 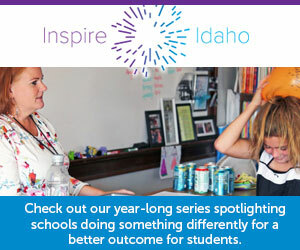 The West Ada School District teamed up with the College of Western Idaho to provide a career path for teens. District officials had hoped to open Owyhee High in 2020. A 2021 opening is now more likely. Mary Ann Ranells received the annual award from members of the Idaho Association of School Administrators.